It's no secret that I've always been quite the francophile, and as of late, my artistic and cultural passions have been coinciding. 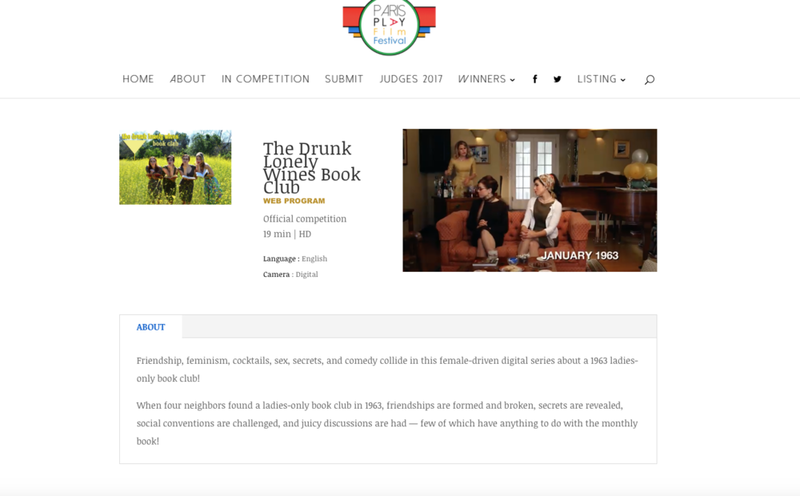 Last month, I played a French teacher on American Housewife, and now, two of my writing/acting projects are being featured in film festivals in France: The Drunk Lonely Wives Book Club is heading to Paris as part of the Paris Play Film Festival this summer (check out our page HERE), and Dog Park is at the Nice International Film Festival in Southern France this week, where it's nominated for Best Short and Best Director! I think this is a a good excuse to eat a croissant.